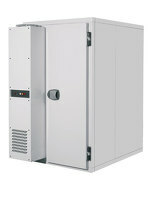 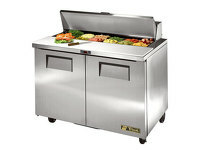 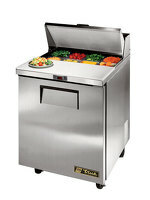 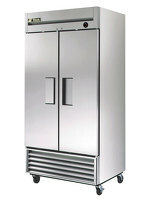 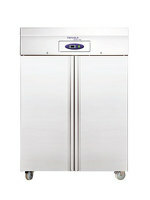 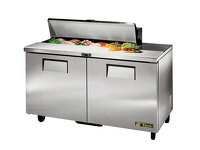 The TRUE TSSU-36 refrigerated storage and prep counter is slightly wider than the smaller TSSU-27. 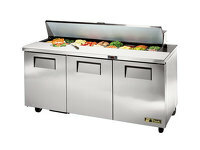 At nearly a meter in width its 240 litre capacity offers greater storage space, and this two door stainless steel unit naturally offers a larger prep area. 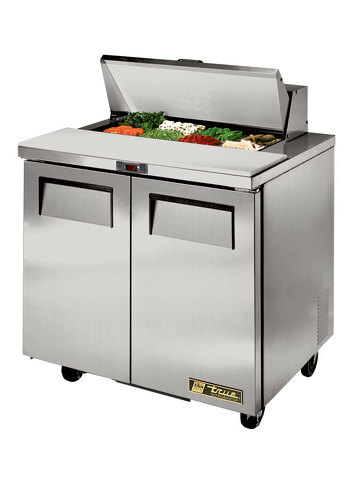 Efficiency in food preparation is key to improving output during service. 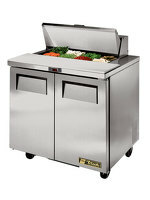 The TRUE TSSU-36 offers more storage, and easy access container tray accessible directly from the prep counter, making preparation of signature sandwiches, starters, and much more a walk in the park.The TRUE TSSU-36 offers more storage, and easy access container tray accessible directly from the prep counter, making preparation of signature sandwiches, starters, and much more a walk in the park.These refrigerated salad units / sandwich units offer the engineering quality, reliable performance, efficient consumption and longevity expected from TRUE refrigeration equipment.